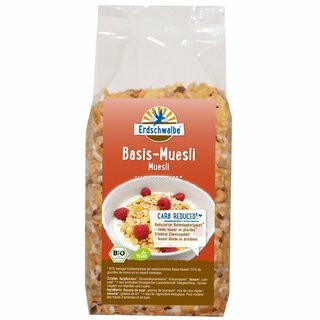 Erdschwalbe Muesli. Reduced carbohydrate content. 300g-bag. Organic - EG-Öko-cert. 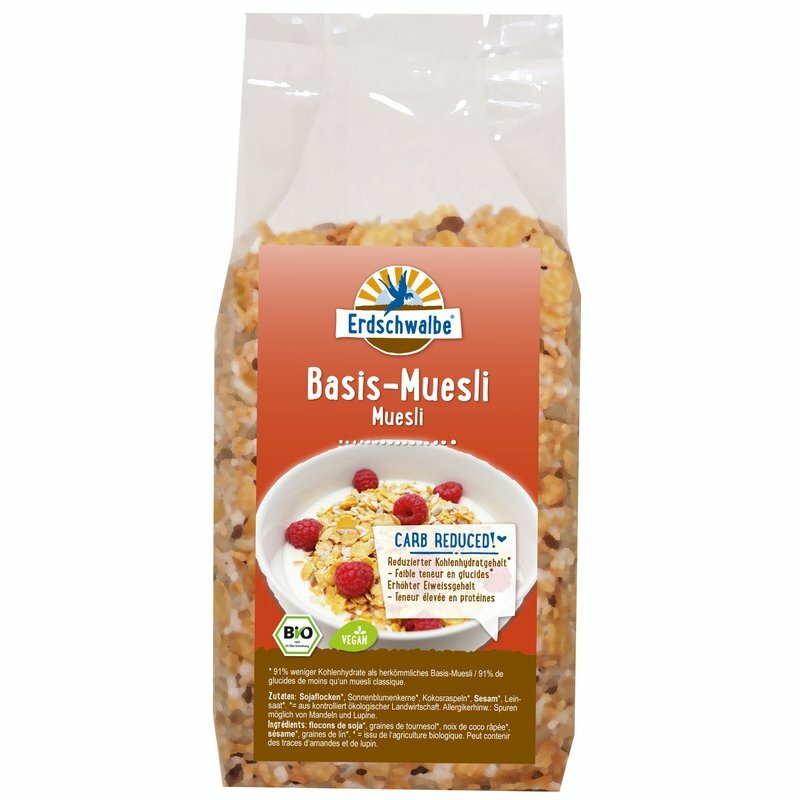 Erdschwalbe Organic Muesli - Reduced carbohydrate content - 91% less carbohydrates than conventional Mueslis. Ingredients: Soy flakes*, Sunflower seeds*, Grated Coconut*, Sesame*, Flax seeds*. *=from certified organic agriculture. Note for allergy-sensitive people: may contain traces of almonds. Preparation: Add as desired: e.g. milk, quark, yoghurt, nuts, almonds, sweetener. Avoid: dried fruit and sugar. Storage: Store the Muesli in a cool and dry space.